I am sure when you got married or announced your engagement, you had family and friends give you advice. I am sure along with the advice you were told a time or two about how marriage is hard, and it takes work. Each marriage will face challenges along the way. No matter how compatible you are. It is our choice to allow those issues to help us grow and work to overcome them or toss in the towel and walk away. 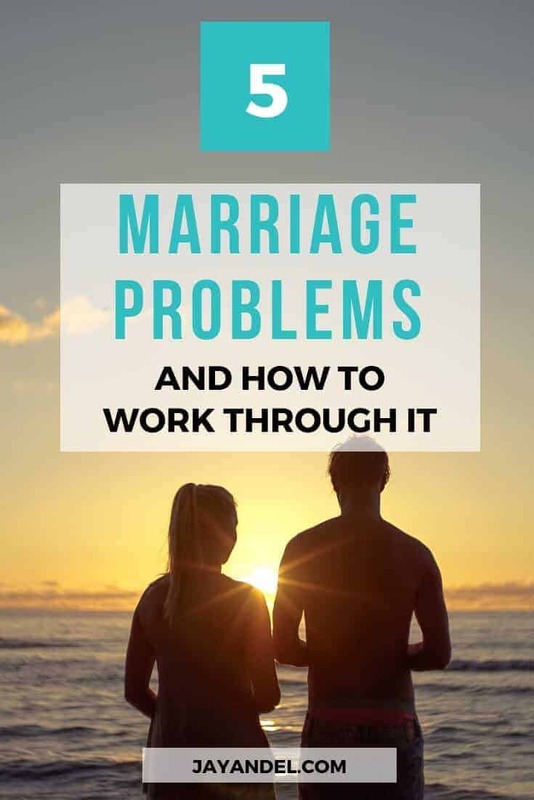 When you get married it is for better or worse, so prepare yourself for the bumps along the way, and learn what challenges that every marriage will face at some point, and how to work through it. Probably one of the most significant issues is learning to communicate with each other. You might think how hard it is to talk to each other, but there is more to it. You have to learn to communicate in healthy ways and express your feelings, praise your spouse, and more. When you have poor communication in the relationship, it can take a toll on a marriage. You have to remember the right ways to talk to your spouse, so they hear you, understand what you are saying, and don’t feel like they are being attacked. How do you learn to communicate properly? Sit down and talk, read a book that shares the right way to disagree, or even speak with a counselor. Addressing issues as they happen healthily really helps you not build up and blow up later. Before you get married, you most often sit down with a pastor, priest, or whoever and take a course to see if this is what you both want. In that they cover finances. Make sure you know the debt you are marrying into, if your spouse likes to save or spend money, etc. Most marriages will fight over money but if you can work out a system of your finances early on it will save you tons of stress later. Being in a relationship is pretty easy when you first start dating, your in that puppy love phase where every second you want to be together. But as you are together longer and get married spending time together might lessen. For one or both people in the relationship, this can cause issues when you feel you are getting neglected or don’t get that quality time. Do your best to always treat your spouse like you are dating them in a sense. Where you go out of your way to make time for each other, compliment one-another and so on. Make sure that in all areas you show that you appreciate your spouse for the work they put into action, and your marriage and offer respect. When someone feels disrespected, their guard goes up. They feel attacked and under-valued. You don’t want your spouse to feel that way, so try to tell them you appreciate them and show support in all areas of their life. Even when you fight, do it in a respectful way where you don’t break down their character. Once you have kids, it can change your marriage. A lot of times you will hear that the other significant other feels left out or notices a massive change in focus. This can be because you are caring for a newborn, a job takes most of your time, etc. Be aware of your partner feels like there is a huge focus shift and they don’t fit in. This can be hard and even ruin a marriage. You never want your partner to feel like you don’t need them. What advice can you offer married couples facing marital problems? Follow us on PINTEREST for more Relationship Tips & Advice!